The Premier Vein & Vascular office in Tampa, Florida, is conveniently located for patients to obtain the best treatments available for vascular and cardiology conditions. From this location in Hillsborough County, we serve the Tampa, Brandon, Mango, Clearwater, Temple Terrace, and surrounding areas. 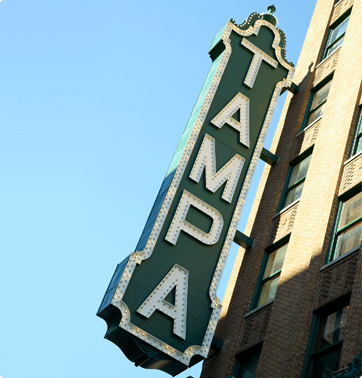 We are conveniently located near downtown Tampa. You will find us across the street from Sheraton Tampa Riverwalk in the Solomon building at the intersection of Kennedy Boulevard and Fremont Street.